Need a tow? 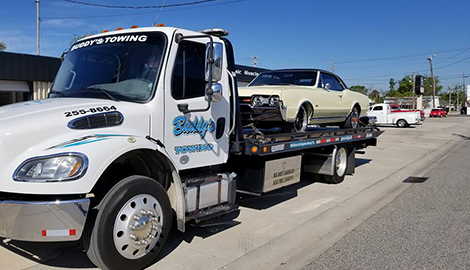 BUDDY'S TOWING is on the road when you're off the road. 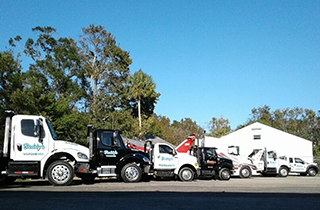 Do you need semi road service in Daytona Beach, FL? When you call in BUDDY'S TOWING, you're calling in the big dogs..
No Job Too Big Or Too Small--We Tow It All! Emergency towing: if you are stuck on the road, a parking lot or anywhere else, we come and get you 24/7. We also provide jump starts and will get you into your vehicle if you're locked out. 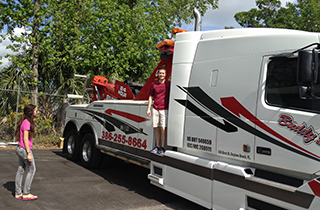 Heavy duty towing: we have the equipment to moving large trucks and semis, if needed. Construction equipment transportation: we'll deliver forklifts, bobcats, backhoes...you name it, we can get it where it needs to go. 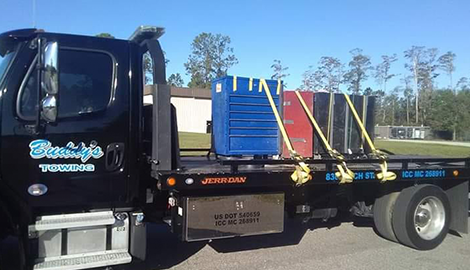 Flatbed services: some vehicles can't towed, but our flatbed can solve those cases in no time at all. Impounding: we'll tow impounded vehicles from private property. Winch outs for vehicles stuck in mud, snow or ditches. We do it all with a smile and the most professional employees in the business. Our customer service is second to none and our technicians are the most dependable you'll find anywhere. We will treat you and your vehicle with respect. We offer over 25 years experience in the towing business. And it won't cost you an arm and leg! Don't have cash? We accept all major credit cards. BUDDY'S TOWING will never leave you stuck! 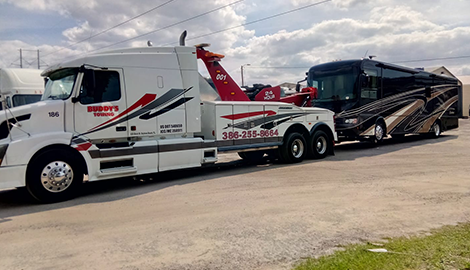 From flat tires to flatbed trucks, we respond to any and all kinds of towing situations. Once you call BUDDY'S TOWING, you won't call anyone else.